Purchase online OP27G Op-Amp in India at low cost from DNA Technology, Nashik. 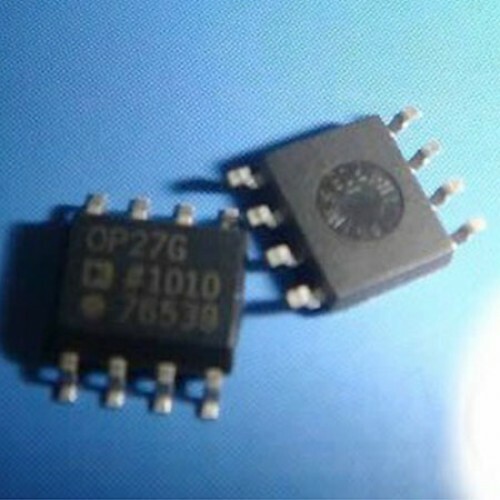 OP27 precision operational amplifier combines the low offset and drift of the OP07 with both high speed and low noise. Offsets down to 25 µV and maximum drift of 0.6 µV/°C make the OP27 ideal for precision instrumentation applications. Low noise, en = 3.5 nV/vHz, at 10 Hz, a low 1/f noise corner frequency of 2.7 Hz, and high gain (1.8 million), allow accurate high-gain amplification of low-level signals. 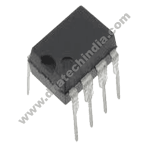 A gain bandwidth product of 8 MHz and a 2.8 V/µs slew rate provide excellent dynamic accuracy in high speed, data-acquisition systems. A low input bias current of ±10 nA is achieved by use of a bias current cancellation circuit. 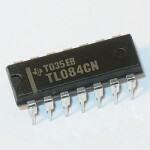 Over the military temperature range, this circuit typically holds IB and IOS to ±20 nA and 15 nA, respectively. The output stage has good load driving capability. A guaranteed swing of ±10 V into 600 ? 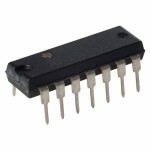 and low output distortion make the OP27 op-amp an excellent choice for professional audio applications.